Herbert James Draper was an English Classicist painter who lived from 1863 to 1920. 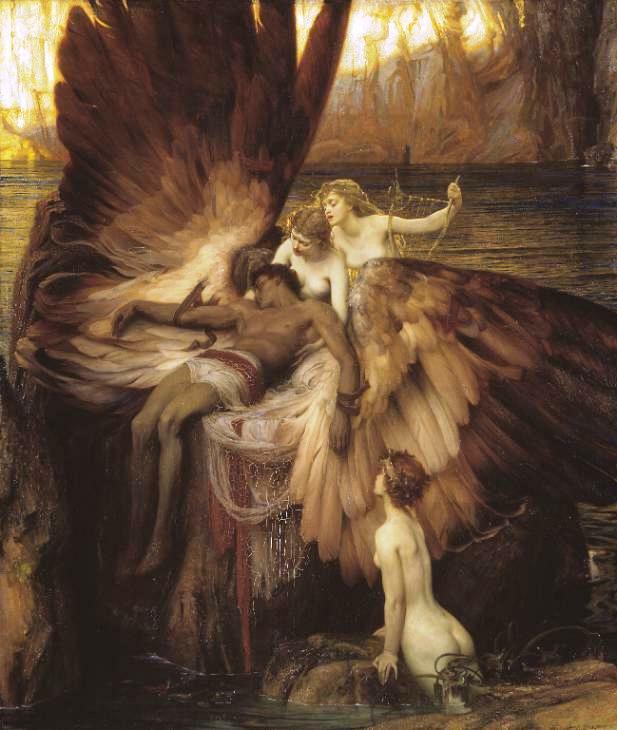 The Lament for Icarus (1898) is Draper’s most famous painting. It shows Icarus from Greek mythology, surrounded by lamenting sea nymphs. His father, Daedalus, makes wings out of wax so that he and Icarus can escape from the island of Crete. Icarus flies too near the sun, though, and he plunges to his death when the wings melt. Posted in Uncategorized and tagged Henry James Draper, The Lament for Icarus. Bookmark the permalink.